The All Age service is a parish wide service held twice a term at each church. It is accessible to all ages but is particularly aimed to families with children. The children are invited to stay throughout the whole service, which lasts about 50 minutes. 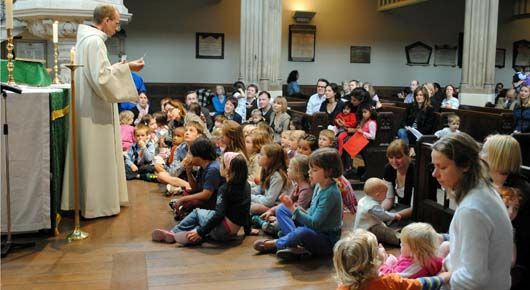 The Bible reading, story, prayers and hymns are all child friendly. A crèche is available in the vestry for the very little ones.